If you’re thinking about opening a fast-food restaurant this year, here are 5 things you need to do first. As a restaurant owner, you’re well aware that you need the help of hardworking people in order to be successful. Each member of your team must efficiently handle their responsibilities and support each other so service can go off without a hitch. That being said, your team will look to you for direction. You need to make sure each staff member knows their role and is well taken care of so they can do their best work. Here are some tips for managing employees in your restaurant. Determining the right number of staff members for each shift is a fine balance. If you under schedule, your employees will likely fall behind as it gets busy, causing customer service to suffer. But if you over schedule, you’ll have to pay employees you don’t need, which is costly to your business. You can schedule your staff accordingly by projecting the volume of business for each day. You should review the historical data collected by your POS software and reservation/seating system and also take into account factors like the day of the week and seasonality. The longer you’re in business, the better you’ll get at achieving the proper balance with staff scheduling. Business are required to withhold and report income taxes on behalf of their employees. However, the responsibility can be a bit more difficult for restaurant owners since their employees don’t always work fixed schedules and often collect gratuities. You can use cloud payroll software to accurately track hours, tips, and withholdings for each employee. They can enter their hours and tips so you have all the data you need to process payroll and file taxes. You can learn more about managing and accounting for employee tips in this blog post. “Follow the law” mind sound like obvious advice but it’s something even the most well-intentioned restaurant owner can struggle with. Depending on your state and locality, there might be specific laws around overtime, breaks, or other employee concerns. For example, California requires employers to provide their employees with a 30 minute break before they reach the five hour mark in their shift. By being aware of laws like these, you can form a strategy so your adhering to the law while making sure you’re fully staffed when it gets busy. Instead of making your staff members leave the premise to eat during their breaks, you can consider providing everyone with a shift meal. Staff meals are deductible at cost for the restaurant and not considered taxable income for the employee. By offering this benefit, you can show your employees you care without breaking the bank. Managing your restaurant likely takes the majority of your time and energy. Fortunately you can use different software, mobile apps, and other technology to simplify your responsibilities – including employee management. For example, cloud payroll software is a must for efficiently tracking your employee’s hours and withholdings and processing payroll. And the data collected by your POS system can be used to help you project how busy you’ll be and schedule the right number of employees. You can learn more about restaurant technology in this blog post. BookKeeping Express (BKE) provides accounting and bookkeeping services for quick-service restaurants, fine dining restaurant, specialty food providers, and more. Visit our restaurant page to learn how we can help your business. Many people have a favorite coffee shop. Maybe they serve great beverages, employ friendly baristas, or provide plenty of space to read or get work done. If you own a coffee shop or cafe, you should strive to become your customer’s go-to spot. You’ll find that using the right technology goes a long way in delivering a great customer experience and running a successful business. More and more businesses are adopting cloud technology because different platforms are able to connect and share data, reducing the time required to complete many back office tasks. In this blog post, we’ll list the different software, mobile apps, and other technology that can benefit coffee shops and cafes. Point of sale (POS) – You can use a modern POS system to easily select the menu items customers order. It will also collect data so you can later review your sales history. Merchant processor – Quality coffee shops accept different payment types. A merchant processor can be used to charge any major credit or debit card. Inventory software/vendor ordering – Running out of menu items or other important materials makes for a poor customer experience. You can use inventory software to track your stock and easily place orders with your vendors. Online ordering – If you provide catering, accepting online orders can be a great way to increase sales. Many businesses and other organizations like to easily order food and beverages for their meetings. Accounting software – You can use cloud accounting software to keep a detailed general ledger. It can connect with your online banking and other solutions, so your records are always up to date. Payroll software – Employee hours, wages, benefits, and withholdings can be managed using payroll software. Receipt app – If you make purchases for your coffee shop while out and about, you can instantly record the expense using a receipt app on your mobile phone. Bill payment software – Staying on top of your bills is a big part of maintaining a healthy cashflow. Use bill payment software to monitor due dates and instantly pay bills online. Sales and use tax reporting – You can track and report the sales tax you collect with the right software. Cloud document storage – All your important business documents should be stored in the cloud so they’re easily accessible. You can learn more about the benefits of cloud document storage in this blog post. Website – A website makes it easy for potential customers to find out important information about your coffee shop, like your menu, hours, and location. You can also use it to showcase what makes your coffee shop or cafe unique. Social media – In addition to a website, your coffee shop should have active social media profiles. Online reviews/local directories – Many people consult online review sites before deciding what coffee shop or cafe to visit. You can learn more about managing your business’s reviews in this blog post. Streaming music – You can create the right atmosphere by streaming music your customers enjoy. Powerful WiFi – Making it easy for people to get online is a great way to keep customers coming back. Make sure your WiFi can support multiple computers and mobile devices. Outlets/surge protectors – Your customers will stick around longer if they can keep their laptop charged. Try to provide everyone with an outlet to plug into. BookKeeping Express (BKE) specializes in accounting and bookkeeping services for coffee shops/cafes, quick-service restaurants, fine dining restaurants, and other specialty food providers. Visit our restaurants page to learn more. If you own a restaurant, you know firsthand how much there is to manage. With the right technology, you can efficiently handle all your different responsibilities and deliver your customers an amazing dining experience. Reservation software – Properly managing your reservations and seating is a crucial part of giving your customers a positive dining experience. Using reservation software, you can manage the reservations on the books and plan out seating during service. An ideal solution will also link with your website so your customers can schedule a reservation online. Point of sale (POS) – Your staff can use a POS system to accurately take orders for each table/party. The system can be used to send orders to the kitchen and bar and to accept payment. Inventory software – Restaurants use a lot of ingredients and other materials. Inventory software can be used to track what you have on hand and send orders to your vendors. You can learn more about managing your restaurant’s inventory in this blog post. 3rd-party delivery services – It’s not practical for every restaurant to offer delivery. However, you can now partner with delivery services that will pick up orders from your restaurant and take them to customers for you. Online ordering – If your restaurant offers take-out, you should provide the option for your customers to order online through your website. Digital ordering at the table – One of the newer developments in restaurant technology is digital ordering at the table. Your customers can select items from a tablet or similar device and send their orders directly to the kitchen. Accounting software – Every business must maintain a general ledger that has all its transactions recorded and organized. You can use cloud accounting software to keep accurate financial records. Payroll software – Your employees can enter their hours and gratuities into your payroll system so you can efficiently process payroll. You can learn more about accounting for tips in your restaurant in this blog post. Online banking – You can see how much money you restaurant has available at any given time using online banking. It can also connect with your cloud accounting software so your general ledger is always current. Mileage app – The cost of driving in the course of running a business is often tax deductible. You and your staff can track mileage using a mobile app. You can learn more about the mileage deduction in this blog post. Receipt app – If you make purchases for your restaurant while on the go, you can snap a photo of the receipt using a mobile app so the details are instantly recorded in your financial records. Bill payment software – Properly managing payables helps maintain a healthy cashflow. You can use bill payment software to monitor due dates and pay bills at the right time. You can learn more about common restaurant expenses in this blog post. Sale and use tax reporting – Tracking, reporting, and paying sales taxes accurately and on time is an essential part of running any business. You can use sales tax software to manage your tax responsibilities. Cloud document storage – Filing cabinets should be replaced by online document storage. You can digitally store your documents so they’re out of the way but still easily accessible. Website – You can introduce potential diners to your restaurant with a modern website. You can also accept reservations and take orders online, which helps provide a positive overall customer experience. Social media – Every business should participate in social media. Restaurants particularly have plenty of excellent content that can be shared with social media foodies. Email marketing software – Email is a great channel for staying in touch with your customers. You can send offers and other messages that can motivate people to come back for another meal. Online reviews/local restaurant directories – Many people consult online reviews and directories when selecting a restaurant. You should have a complete profile on these sites and encourage your happy customers to leave a positive review. BookKeeping Express (BKE) specializes in accounting and bookkeeping services for fast casual restaurants, fine dining restaurants, specialty food providers, and more. 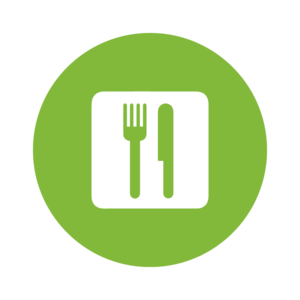 Visit our restaurants page to learn how we can help your business. Properly recording and categorizing expenses is an important part of bookkeeping. It gives the business owner insight into how their money is being spent and helps them maintain a healthy cashflow. And when tax time comes, they can maximize their deductions because the necessary records have been kept throughout the year. Every industry operates in its own unique way so expenses vary across different types of businesses. In this blog post, we’ll explore the expenses restaurant businesses commonly incur. Paid sick leave, vacation pay, and health insurance benefits provided to employees are tax deductible for the restaurant business. If you or your restaurant’s employees drive to make deliveries, provide catering, or pick up supplies, these costs can be deducted from your taxes. The key is to accurately track the miles driven for business purposes. You can learn more about the mileage deduction in this blog post. In the past, certain capital investments could only be depreciated over a number of years. With Section 179, some equipment can be depreciated as a lump sum in the year of the purchase. The break is meant to make it more affordable for small businesses to buy up to $500,000 worth of qualifying equipment — including computers, vehicles, furniture, and kitchen appliances. Many restaurants allow their employees to order a free meal during their shift or provide a “family meal” for everyone to share together. These meals are deductible at cost for the restaurant and not taxable to the employee. Many restaurants are unaware there is tax benefit for donating unused food. You can claim an enhanced deduction if the food is donated to an organization that qualifies under section 501 and you meet other requirements set by the IRS. It’s common for restaurants to throw a party for their staff during the summer or holiday season. The cost of a holiday party is fully deductible for the restaurant, as long as it’s hosted primarily for the employees. That means you shouldn’t invite your friends or favorite customers. However, your employees are allowed to bring their spouses or significant others. You should also make sure your party isn’t too lavish. An excessive holiday party deduction can cause the IRS to take a closer look at your company’s entire tax return. In addition to hosting a party, many restaurants give their employees gifts during the holidays. Gifts are deductible for the business, provided they don’t exceed $25 per employee per year. In most cases, a gift is not taxable income for an employee. They’re considered a de minimis fringe benefit, which is Latin for “of minimal value.” The IRS notes on their website that gifts are de minimis as long as they cost less than $100 for each employee. So adhering to the $25 limit will keep both you and your employees in good shape from a tax perspective. However, one exception is gift cards. Because they have a cash value, gift cards are taxable income for employees, regardless of the amount. The Work Opportunity Tax Credit (WOTC) encourages businesses to employ people who traditionally face challenges finding work. You can receive a tax credit for hiring veterans, people with a criminal record, food stamp recipients, residents of Empowerment Zones, and people referred by vocational rehabilitation services. Bookkeeping Express (BKE) specializes in accounting and bookkeeping for quick service restaurants, full service restaurants, coffee shops, and specialty food providers. Visit our restaurants page to learn how BKE can assist your business.